It’s here. One of my favourite deliveries for the whole entire month. Scent From. Last month, of course, was Paris. And previous months have included The Alps and New York, Stockholm and Marrakech. So with a faraway land as this month’s theme, I couldn’t wait to see what was in store. Although boasting an impressive selection of stamps and stickers in my passport from my global travels. I’ve never actually visited Bangkok so to have a piece of the city brought to me is extremely exciting. Opening the sturdy brown box. 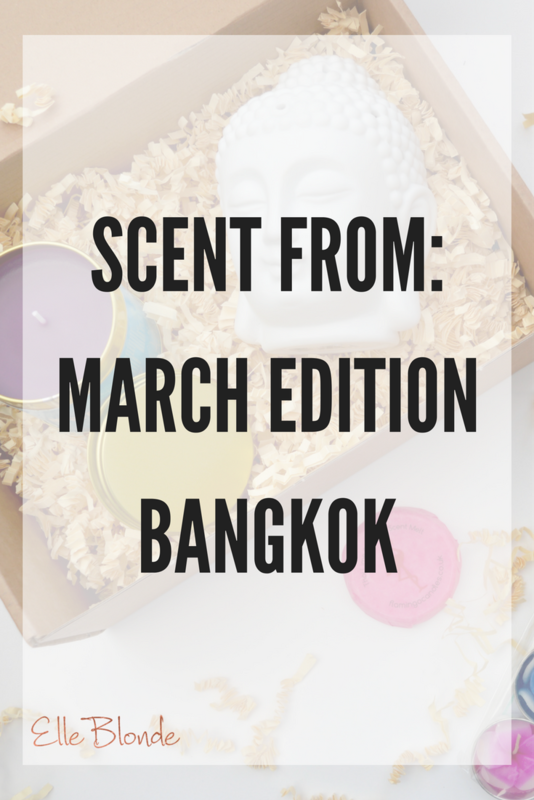 This month adorned with a cobalt blue sticker with the all-important co-ordinates of where Bangkok sits according to longitude and latitude. 13.7367° N, 100.52331° E in case you were curious. This attention to detail really adds to the opulence of the Scent From monthly subscription box. As I lift the lid and remove the information card I am instantly transported to serenity. Imagining an opalescent stream with pink blossom dancing as it falls from the trees. A heard of elephants marching on by, whilst the echoes of a tiger’s roar ripple through the mountains. The temple of Wat Pho towering up in the sky adorned with opulent gold statues of Buddha. That leads you to the street vendor who makes promises of the sweetest and spiciest food you’ll ever enjoy. 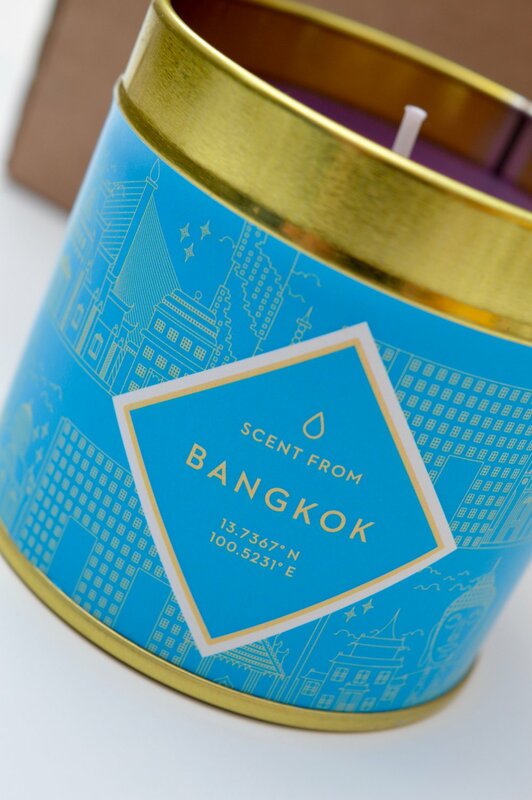 With one burst of the fig scent as the box opens it has the ability to magically transport you to this beautiful city. I rummage around the box through the signature shredded packaging to discover this month’s treats. 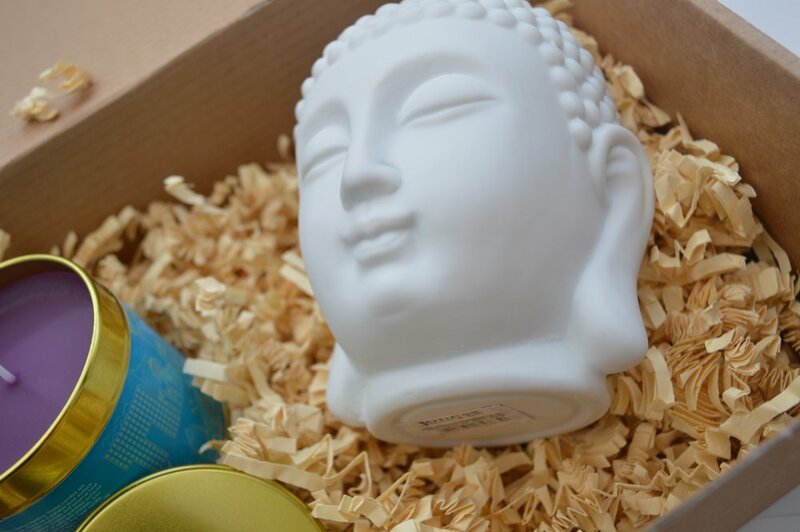 Opening the large white box to reveal the Buddha head oil burner. 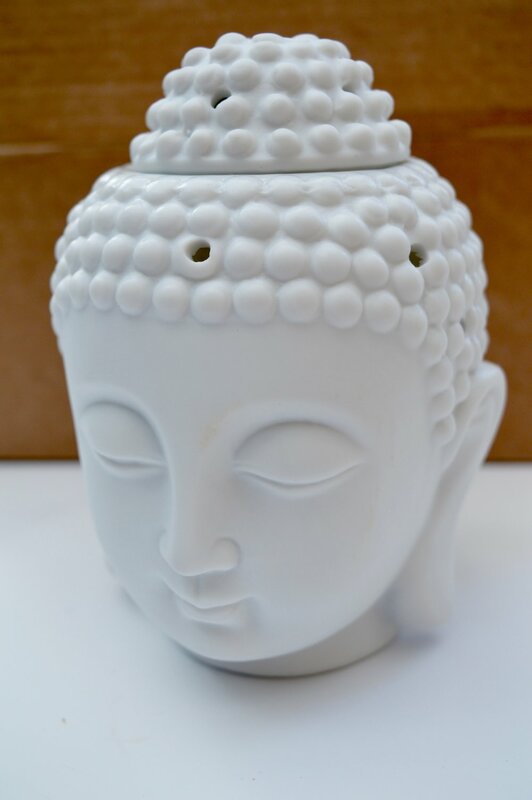 The ornate white oil burner has a gorgeous depiction of Buddha’s face embodies the pure. Calm serenity of the Buddhist philosophy, the simple white will compliment perfectly any decor within your home. The rich fuchsia pink Flamingo wax melt in Thai Lime & Mango will sit perfectly in the burner. 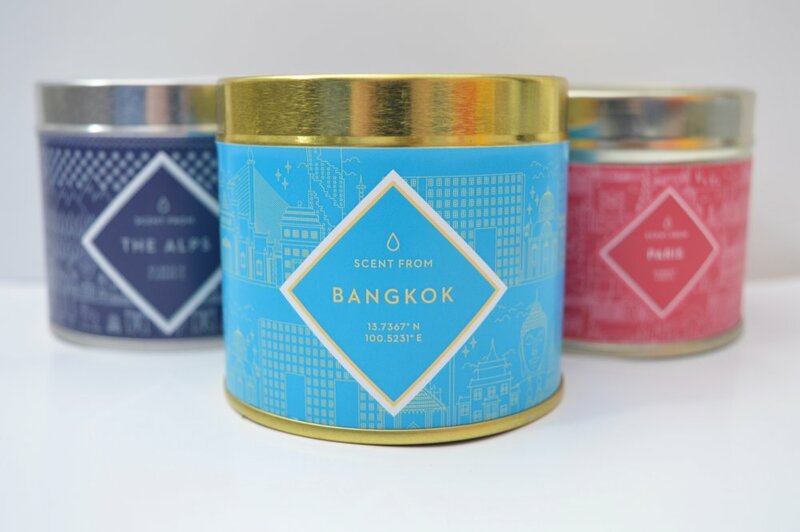 As this new scent begins to melt, discover the sweet hues which will fill your room transporting you to Thailand, to find relaxation and peace. A collection of 10 of the most stunning tea lights I’ve ever seen is next to be revealed out of the box. 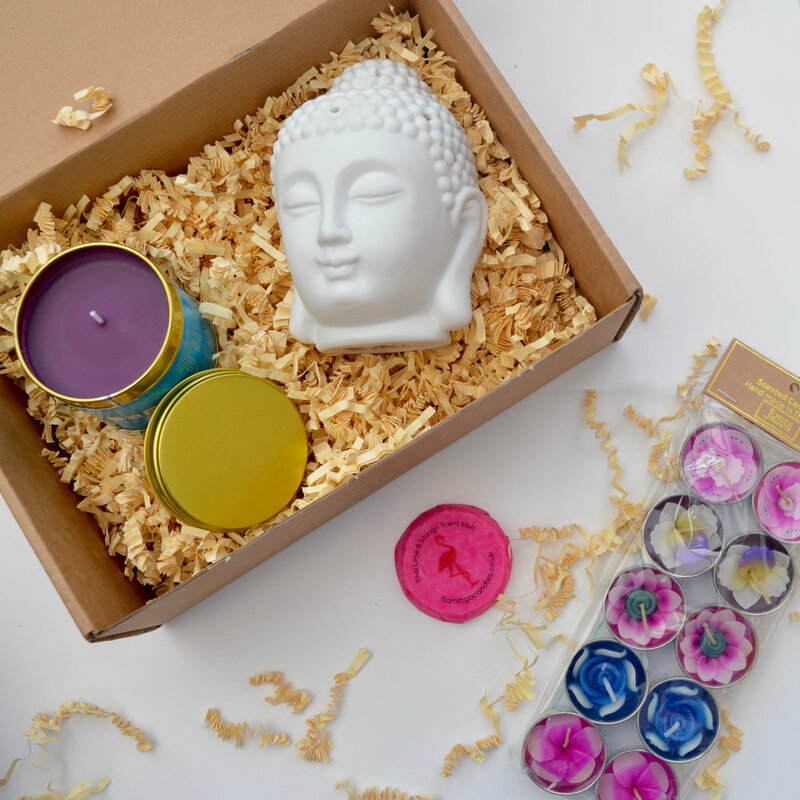 These unique scented candles come in a variety of shapes and colours, this individuality is symbolic of the Buddhist philosophy. And can brighten any room and whisk you away to Southeast Asia. Finally, my personal favourite of each and every Scent From box. The Natural Wax Tin Candle. Draped with the cobalt blue cityscape the same as the lid of the box the signature Scent From candle. This month in Oriental Fig. With a long lasting 40 hour burn time this purple candle is diffused with sweet aromas. Fig, known for it’s calming properties, lifting your mood and has you longing for Eastern travels. This is the ultimate bathroom candle and looks gorgeous juxtaposed with our white, simple and calming bathroom. Scent From recently featured in our Mother’s Day Gift Guide and will be a great addition to spoiling your Mum monthly. If you’ve already got her present sorted then why not treat yourself to this magical subscription box. Priced at just £19.99 you can take advantage of our £5 off discount code, simply enter ELLE5 at the checkout and watch your basket price drop.